Jaiden M., CSLKennyNI, Pokemaniac and 2 others like this. Wow that transition into the corner is pretty tight! I've lost track of the layout a bit - do we know of you go up and towards that building, or down and away? Interesting that this is 170ft tall but only 65mph. Taron for example hits a max height of 97ft but 75mph. Just shows how bat crazy Taron is tbh. Hopefully lots more of these pop up over the coming years. Those s bends into the tight drop are going to give me everything Taron's doesn't. Haha weirdly I agree, dispite critising it a few posts back. The NL2 models made it look slow but the dip out of it I think will give it the punch it needs. I'm more hopeful now thats up. PetskuC and Lofty like this. This coaster is coming along quickly and nicely! b&mfanboy123, Lofty, Jaiden M. and 6 others like this. Here's hoping they'll manage to make this a bit more comfortable to ride than Taron. Taron can be amazingly intense, but the seem to have forgotten that certain elements (such as the twisted airtime hill, where they launch you up out of your seat, throw you sideways whilst you're still airborne, then yank you back down at an angle) can be downright uncomfortable when the seats aren't built to support your body properly. I really hope they've learned from the experience, and that they're focusing more on the good stuff, rather than the unpleasant. I didn't find Taron to be uncomfortable at all. In fact it's probably one of the most comfortable ride experiences I've had because of the seats and restraints. I never noticed any discomfort on Taron, I guess it's just a subjective thing. FistedColossus and CSLKennyNI like this. I think some of it is subjective, some of it is down to layout, some of it is down to seat design, and some of it is probably down to how Taron is running on any given day. I've been to Phantasialand twice. The first time, Taron was comfortable enough, but not really showing it's true potential. The second time, it was far faster and more forceful, and that's when I started to have issues with it. Note the design of the seat - it's like a deep bucket, far enough out of the way to be unnoticeable when riding, but it wraps around enough to provide upper body support when needed. It's effective, but you don't even notice it's there. Note that the seat back is much narrower. It can't support you when the ride throws you to the side (and it will, by design). It's got a subtle curve to it, which actually makes the problem worse - when you get thrown sideways, the edge of the seat actually scrapes across your back, so you've got that to contend with as your back muscles work overtime trying to get you back upright and the train tries to pull you sideways. After a lot of rides on Icon this year, I was actually quite surprised as to how much this bugged me when I re-rode Taron. Last year, I initially thought Intamin had managed to match Mack for rider comfort, and they certainly have in terms of restraint design - having had major issues with their old restraints, particularly on iSpeed, the new Intamin lap bar is absolutely spot on. 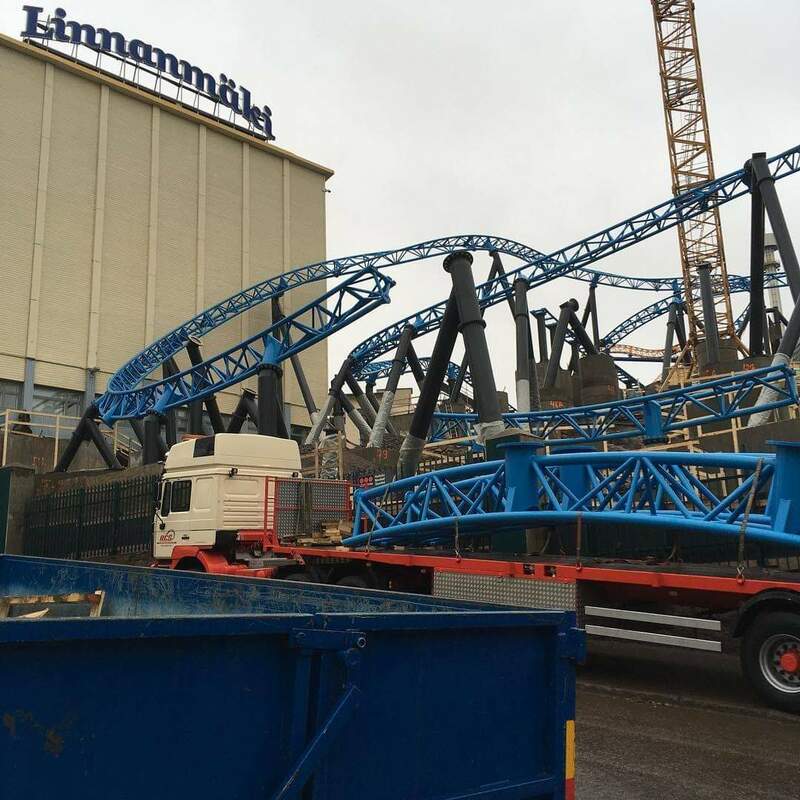 It just feels like Intamin went a little OTT in a couple of places, and forgot about rider comfort in the process. It's easily fixed, either with some subtle changes to the track profiling, some subtle tweaks to the design of the train, or a combination of both. Don't get me wrong, I adore a properly designed, intense Intamin. Their best coasters are legendary for good reason. I'm not looking for reduced intensity, just a bit of refinement to make it more comfortable in the process. I suppose I view Taron as a very successful mark 1 prototype, and it was good, if imperfect. 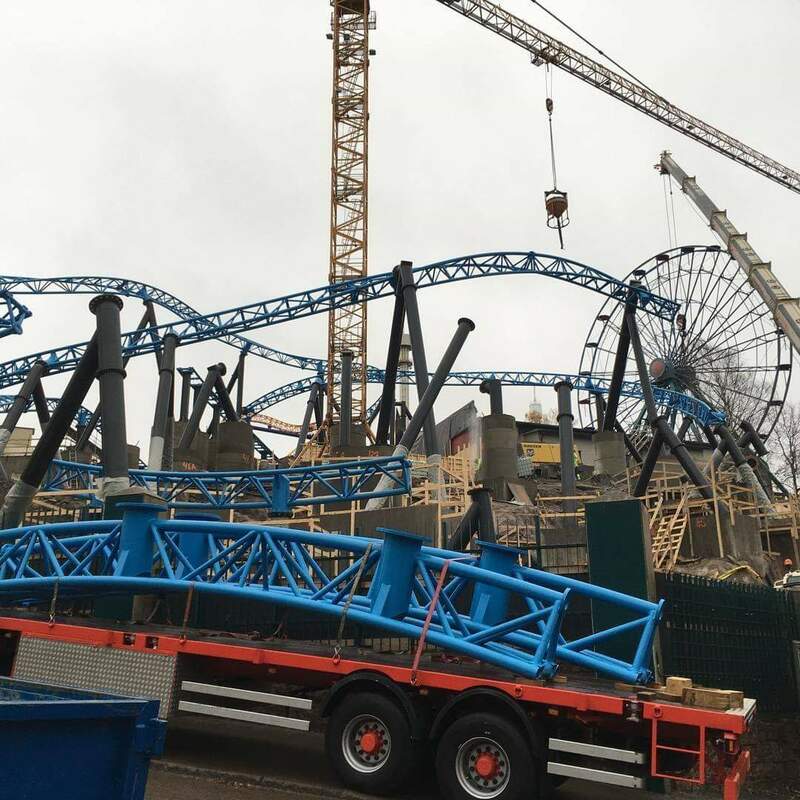 Now they're building a mark 2 follow up, and I really hope they're aware of what I consider flaws in their first effort, and take action to resolve them, rather than doubling down and having the same issues with all of their subsequent rides. b&mfanboy123, TMCoasters, EpochEmu and 3 others like this. CookieCoasters, PetskuC, TMCoasters and 3 others like this. I don't want to sound mean or something (and if this does, then I excuse myself), but does this unconfort maybe has to do with your posture? (Also not knowing how your posture is, but deducing this from how you said "...when the seats aren't built to support your body properly...") Because you are the first I hear talking about this and never noticed any hurtfull moments after riding Taron close to 30 times. The seats in Taron are good. But as @MouseAT knows, my back was hurting a little bit after a few rides. But on Icon I was totally fine. It is a strange one. Just can't put my finger on it. I've had a couple of rides on Taron which have been a bit uncomfortable, where I've been flung about in my seat and caught my side on the seat. I had my bar quite loose and wasn't holding on, so no design fault. However, I can see how with some people, if they have a certain body shape, the Taron restraints could always cause some discomfort. Should say, the 'uncomfortable' rides I had on Taron didn't detract from the experience. The ride is fast and intense, with lots of whipping and snapping in its elements. You've got to expect it to be a little rough and ready every now and then. b&mfanboy123, TMCoasters, Coaster Hipster and 3 others like this. Mainly just came hear to comment again on how lovely that blue is. But...this ride does look pretty fun based on what's been built thus far! I'm looking forward to seeing it progress! Also...I love how they haven't yet added that one support on the turn following the trick track. Could it be to allow access for construction vehicles?